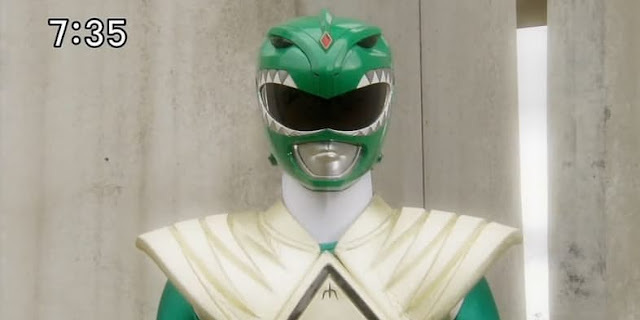 Like Tommy Oliver, the Sentai Green Ranger is considered one of the most iconic and enduring characters of the series, to the point where many would tune in for the character alone. Sadly this wasn’t to last, as while the PR version simply lost his Green powers, Tommy’s Sentai equivalent Burai straight up died.Yep, Japanese kids are apparently made of sterner stuff than the rest of the world — or at least, the censors seem to think so — because they didn’t shy away from having a Ranger die on-screen. Twice, in fact. With his powers dwindling, Burai was confined to a cave for most of the time, resting in suspended animation when he wasn’t sorely needed.